Counterfeit medicines cause an estimated 170,000 deaths a year, with the WHO estimating more than 120,000 people a year die in Africa as a result of fake anti-malarial drugs. This is also having an incredibly harmful impact on the brands and companies who are being imitated. Emerging economies, particularly in South East Asia, present a real challenge for companies who are keen to expand internationally while defending their brand and products against counterfeiters. A robust brand protection strategy is required, but distance, culture, technology, and different levels of intellectual property protection can create an extremely difficult environment in which to operate. Brand protection is still a niche activity, but companies are starting to realise that brand protection offers a real chance to materially affect the bottom line of their business, show their respect for consumers and deliver the consumers’ expectation of products. 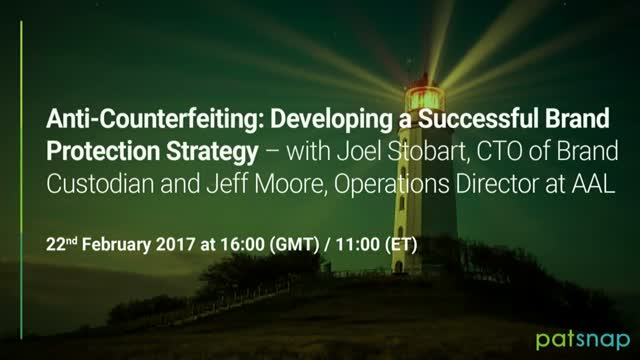 Joel Stobart is Chief Technology Officer at Custodian Solutions; a novel brand protection company that uses cloud-based software to re-think and re-design the way brand protection is carried out, joins us alongside Jeff Moore, Operations Director at AAL; a Global Intelligence consultancy who manage investigations and provide solutions to clients brand protection issues worldwide – for this webinar on brand protection strategies for intellectual property owners operating in South East Asia.